Yet another exclusive UK import, this time from the US. 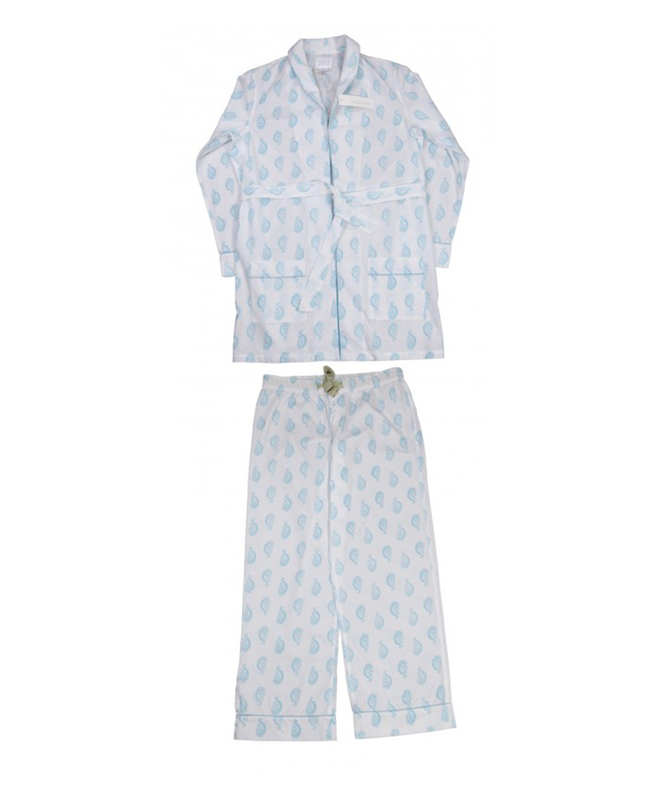 US brand threejnyc have re-created this classic and timeless pj set beautifully. An elegant batik paisley cotton pj set from Three J NYC. Pearlized buttons fasten the top, which is detailed with a breast pocket and a rounded fold-over collar. The wide-leg pants have a drawstring at the gathered elastic waist and a button at the faux fly. Fabric: Crisp weave. 100% cotton.